Gion is the most famous geisha district of Kyoto. It is filled with shops, restaurants and teahouses (ochaya), where the geishas entertain. It is located near Shijo Avenue between Yasaka Shrine in the east and the Kamo River in the west. 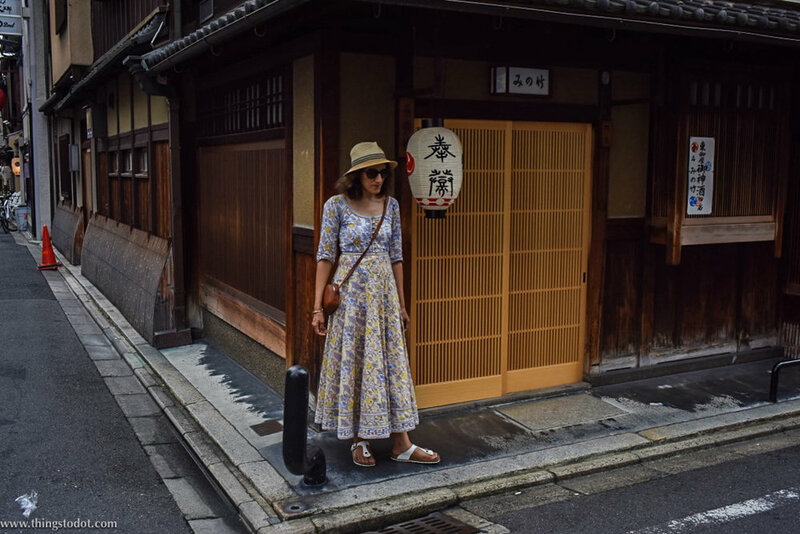 One of the major attractions for tourists visiting here is to catch a glimpse of a geisha on her way to or from an engagement at an ochaya in the evenings or while running chores during the day. The most popular area of Gion is Hanami-koji Street from Shijo Avenue to Kenninji Temple. 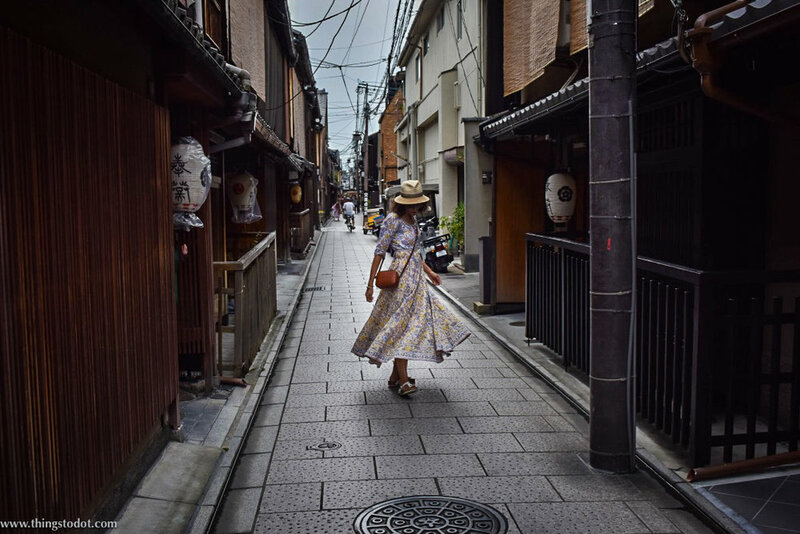 The street and its back alleys are lined with preserved machiya houses many of which have been converted into restaurants, serving Japanese and international cuisine. There are also a number of exclusive teahouses some of which are the most expensive in Kyoto, where guests are entertained by maiko (geisha) and geiko (geisha apprentice). After walking through the back alleys of Gion, my guide and me visited the Kenin-ji temple, which is one of the five most important Zen temples of Kyoto. It is also the oldest Zen temple in Kyoto with a beautiful Zen garden. Shirakawa Dori which runs along the Shirakawa Canal and is one of the prettiest streets in Kyoto, is also located in Gion. Since this is off the beaten path, there are not many tourists in the Shirakawa area as compared to Hanami-koji Street. Shijo Avenue, which bisects the Gion district, is a famous shopping area in Kyoto with shops selling all kinds of products including handicrafts and food items. The Gion Matsuri, the most famous festival in Japan, is also held in Gion. You can combine your visit to Gion with the Yasaka Shrine and the Kiyomizudera temple. The closest train stations are Gion Shijo Station on the Keihan Line and Kawaramachi Station on the Hankyu Line.